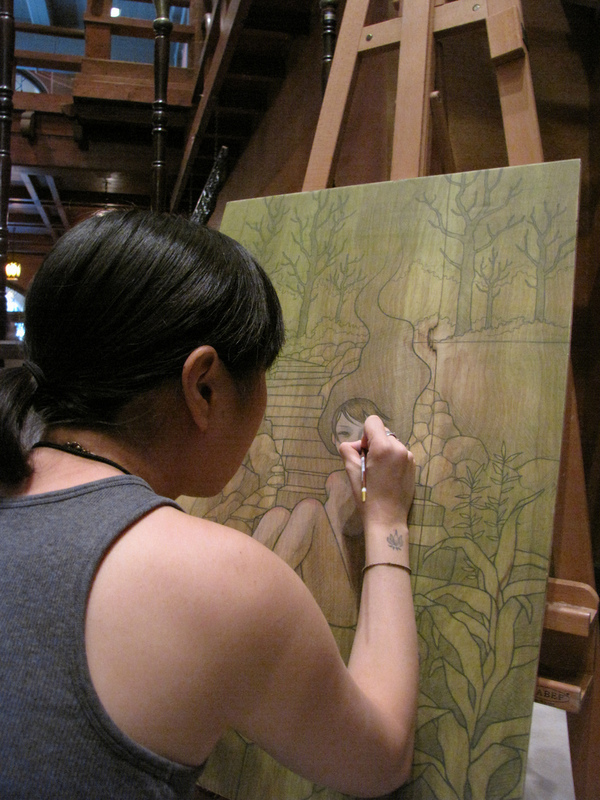 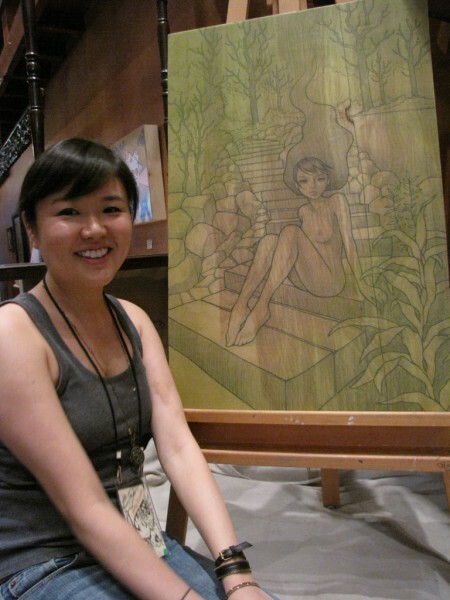 While Greg “Craola” Simkins worked on his painting just a few feet away, AM favorite Audrey Kawasaki (interviewed) was busy working on yet another piece for her upcoming show “Hajimari – a prelude” for Jonathan LeVine (teased) later this year. 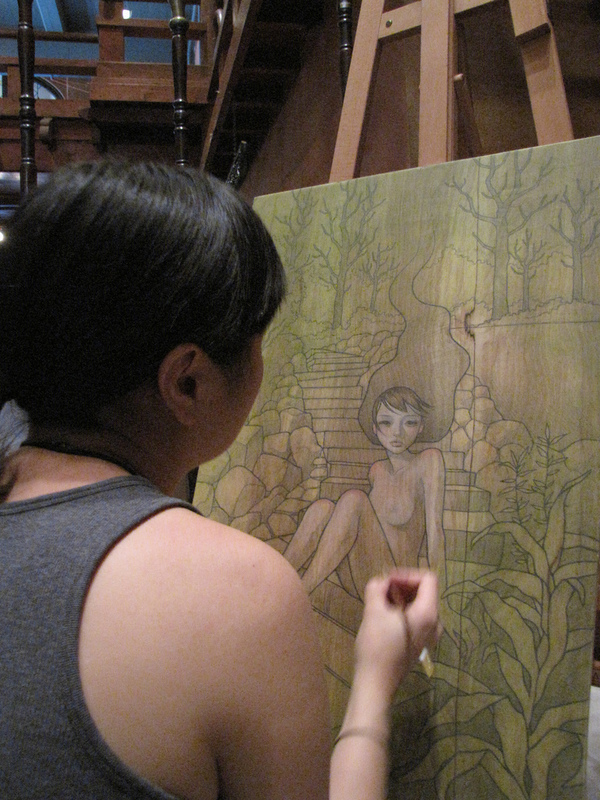 Watching Audrey layer colors and skin tones delicately over an initial sketch on wood was a real treat as well as a great insight to her process. 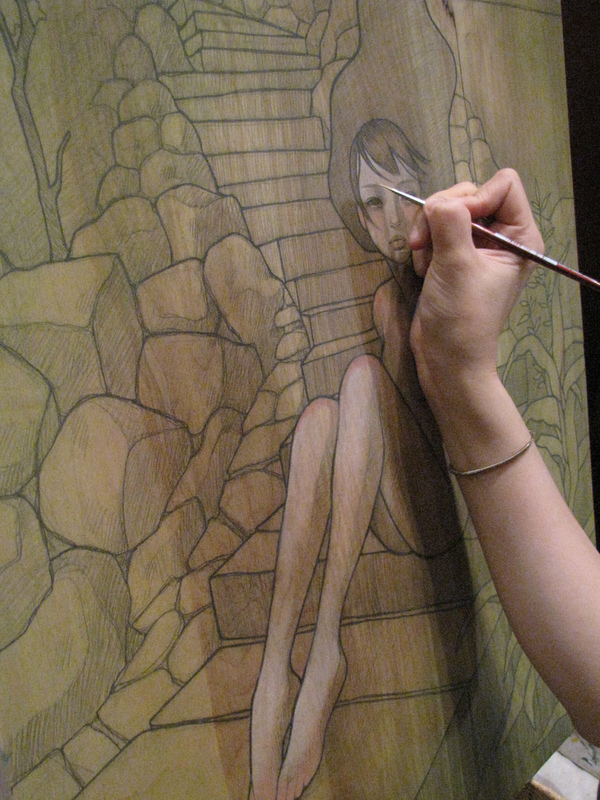 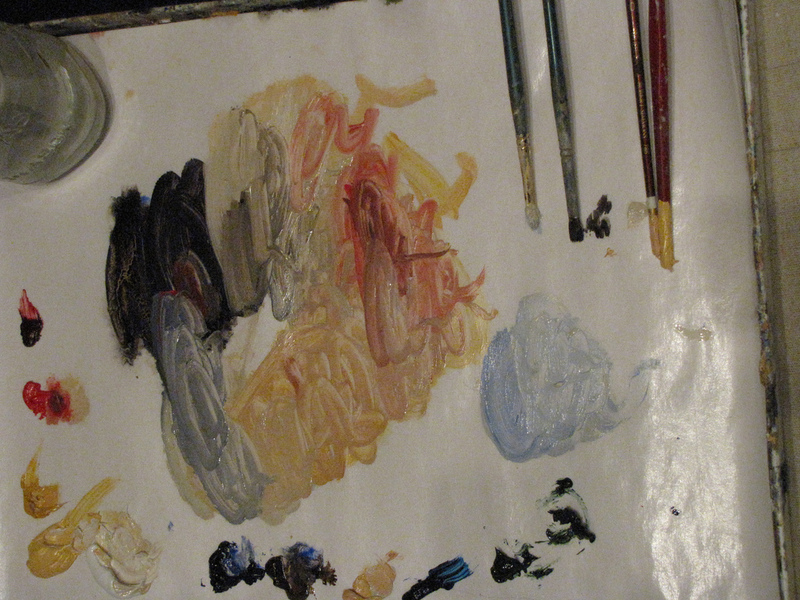 Categories: Art, Low Brow & Pop Surrealism, Shows & Events. 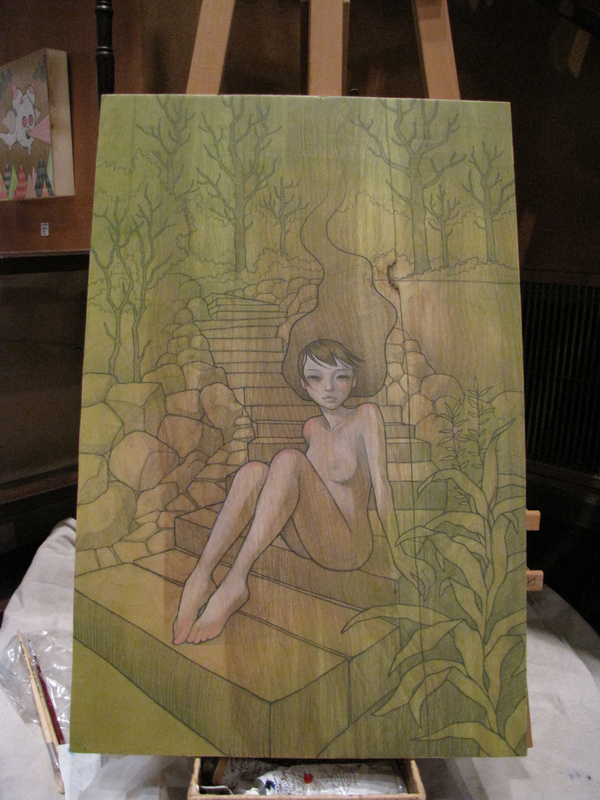 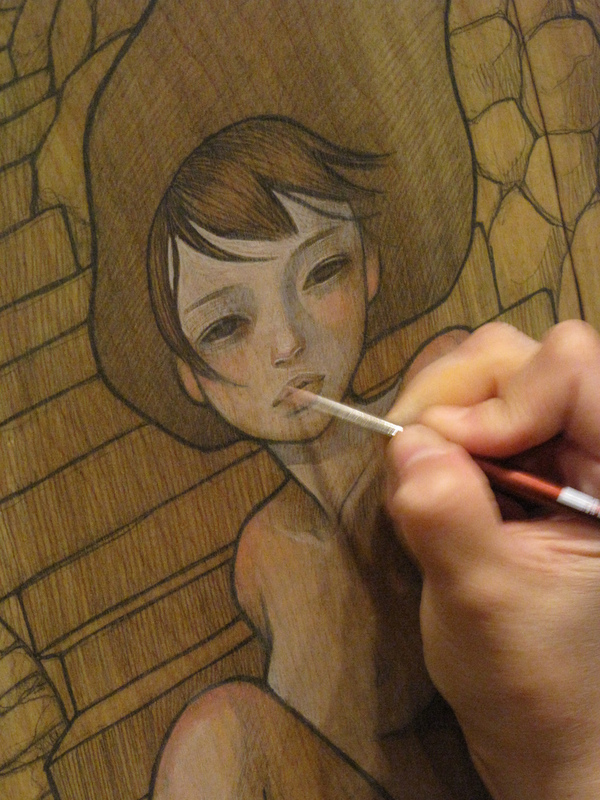 Tags: Audrey Kawasaki, Baby Tattooville, BT 09, Kawasaki - Levine 09, Low Brow & Pop Surrealism, Reverse Studio Visits.